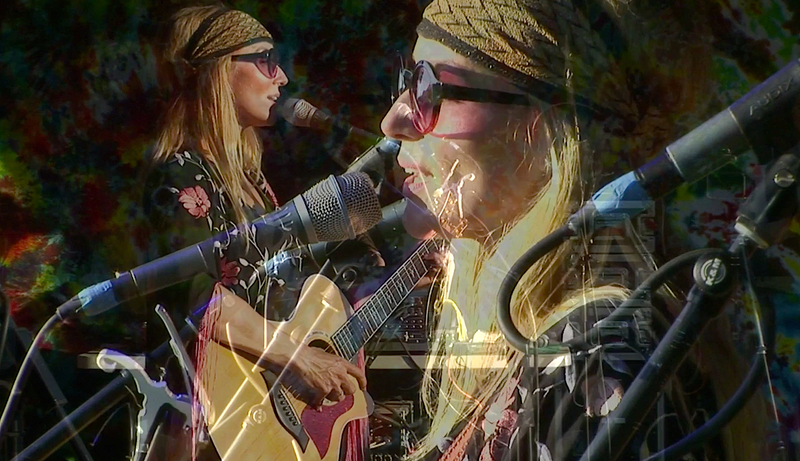 For this month’s EDA Inclusive, I’d like to share with you a bunch of cool images (I’m into double exposures at the moment) and one of the most entertaining video sequences from Jewel’s recent homecoming performance headlining Salmonfest 2017. 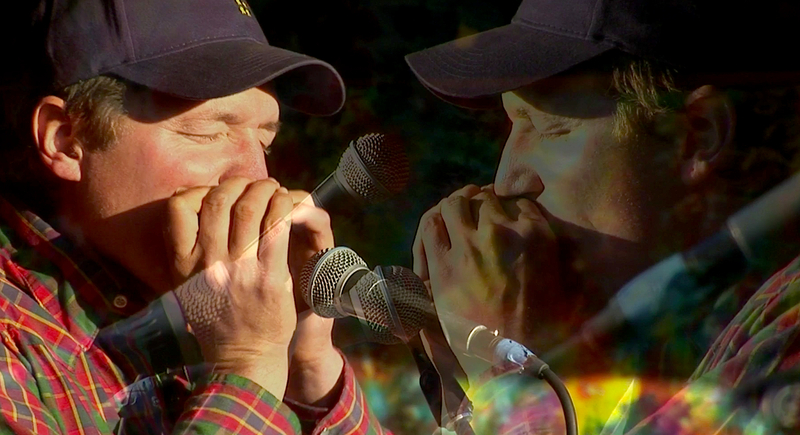 This three day/four night festival annually attracts thousands of people to the Kenai Peninsula village of Ninilchik, showcasing Alaska’s top food, crafts, art and brews, in addition to over 50 musical acts performing on four separate stages. Salmonfest is supported by and benefits The Kachemak Bay Conservation Society, a nonprofit organization based out of Jewel’s hometown of Homer, that seeks to educate the public, and both protect and promote Alaska’s fish-filled waters. Being a long-awaited return to her home turf, it’s not surprising that Jewel’s Salmonfest set became a “Kilcherfest,” with several family members joining in. 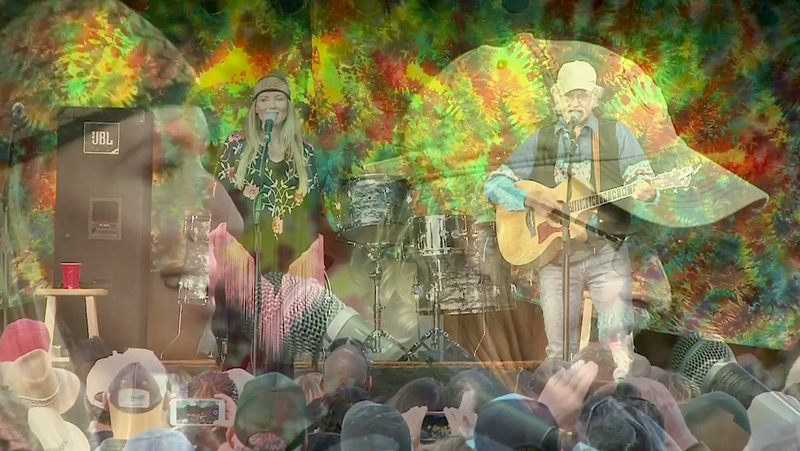 Two of Jewel’s earliest musical influences, her aunt Mossy Kilcher and her father Atz Kilcher, were both showcased during her headlining set. Jewel’s younger brother, Atz Lee Kilcher, also joined in on the musical festivities..
Jewel’s son Kase even made an appearance, performing with his mom on “Daydream Land,” a song written by Mossy Kilcher that Jewel recorded for her “Lullaby” album. In this regard, Salmonfest was a precursor to Jewel’s forthcoming tour, where her son Kase, her father Atz and her brothers Atz Lee and Nikos will all be on board. A true family affair, this first annual 'Handmade Holiday Tour' will be Jewel's first tour with family members. Each stop has pre-show activities planned, including a unique and interactive gifting experience offering guests the chance to make handmade one-of-a-kind holiday gifts. The tour will also sponsor 25 individuals in need per show and offer vouchers for the gift making workshops to ensure they have a handmade gift for the holidays. There will also be an opportunity to make donations and/or donate workshop vouchers to these families. In addition, Zappos.com will be working with local animal shelters in each market to sponsor pet adoption at every show as they kick off Home for the Pawlidayz, their nationwide pet adoption program. The complete schedule and ticket links for the tour, which will travel the country this November and December, are posted on the calendar here. Being that I’m primarily communicating with EDAs in this blog, I’m well aware that many of you have heard this monologue many times before. Despite that fact, I’m confident you will enjoy this particular sequence, as several new details emerge and Jewel and Steve veer off into some previously uncharted territory, often with hilarious results! 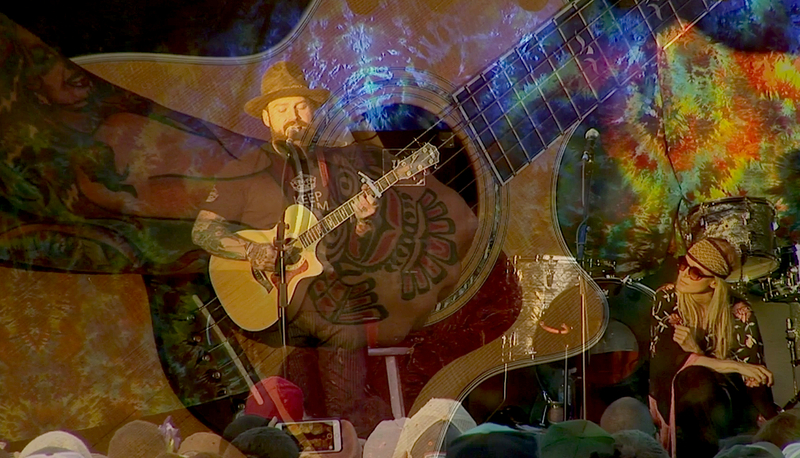 A big thanks goes out to the videography team at Turquoise Multimedia for professionally capturing this memorable performance on multiple cameras. There are half a dozen split-second video glitches during this lengthy sequence, where the original audio went increasingly out of sync each time, but I’ve corrected most of that and synchronized the board audio to all of it, so its a nice clear listen. Also, be sure to check out the additional links I’ve included after this multi-camera footage, where you can watch Jewel’s entire Salmonfest set shot quite well on a single camera, view the setlist log and see the infamous Mexico drug bust photos from so long ago! 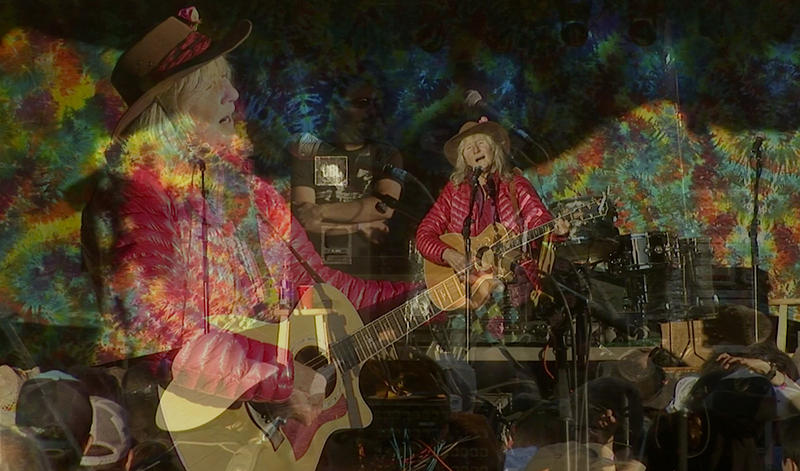 But in the meantime, sit back and enjoy Jewel and special guest Steve Poltz live at Salmonfest this past August 6, 2017.